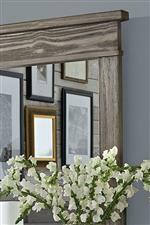 The Glacier Point Cal King Storage Bedroom Group by AAmerica at Van Hill Furniture in the Grand Rapids, Holland, Zeeland area. Product availability may vary. Contact us for the most current availability on this product. Drawer/Shelf Construction English dovetailed drawer construction both front and back that gives you unlimited pulls and still remains tight. Finished interior drawers so smooth they protect your most delicate items. 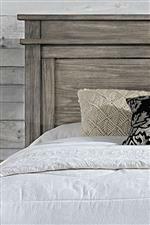 Transitional design meets a slightly rustic aesthetic in this soothing solid wood bedroom collection. 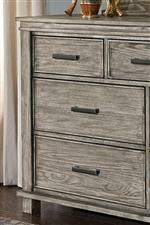 A number of highly functional storage pieces and options allow you to take advantage of your space and give you plenty of room to store clothing or extra blankets and pillows. 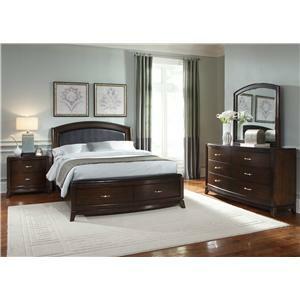 Exciting features like USB ports in the nightstand help to modernize this already striking collection. 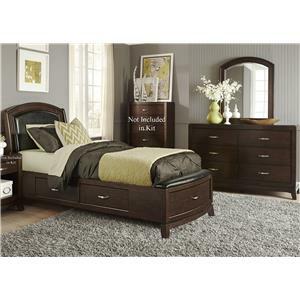 Whether you're looking for more storage, quality construction, or a set that will relax the look of your bedroom, this collection has exactly what you've been looking for. 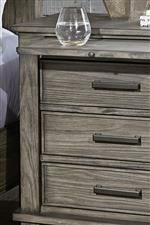 The Glacier Point collection is a great option if you are looking for Transitional furniture in the Grand Rapids, Holland, Zeeland area. 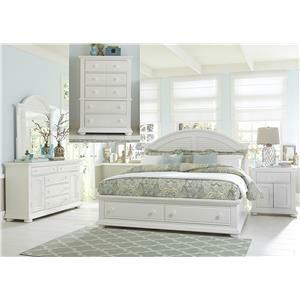 Browse other items in the Glacier Point collection from Van Hill Furniture in the Grand Rapids, Holland, Zeeland area.